We’re kicking off our #lifeatfon series with an interview with Fon’s CINO, Iurgi Arginzoniz, who drives the company’s innovation strategy. I joined Fon at its very inception, in November 2005 as a Firmware Manager. My role was to create a firmware for the third party routers we used (Linksys WRT54G) for WiFi sharing. Then we made the first Fonera in September 2006. After that, I started the CPE team and led the integrations with all partner CPEs for 5-6 years while we kept making new routers in parallel. In 2012, I started working on the platform architecture and took the role of Head of Architecture, for which I built 3 more teams: the Architecture Team, the Solution Architects Team, and the Innovation Team (Fon Labs). These teams were in charge of specifying the whole technology architecture and requirements of the CPEs, routers, as well as the platform. My team had to talk to all our telco partners (from the Solutions Engineering teams) to get requirements, and the Architecture teams then had to capture them and put them into the product. This role transformed into the Product Engineering Team which I led for 2 years. In 2016 I was appointed CINO and my role transformed to focus on innovation and strategy. My teams and I work on making Fon an ever-innovative company by focusing on technology and business innovations aligned with our corporate strategy. My role mainly consists of defining and improving the way we work at Fon to be an innovative company. On the one hand, I invest time in defining the best practices for my team, and for other teams, in terms of facing innovation and new projects. I define processes, as well as looking after them, and I am also responsible for defining the right strategy and evolution for the company. On the other hand, we work on several projects in parallel that have potential to innovate and transform Fon continually. These projects are sometimes discarded, but often they become new products and technologies for Fon. My team is made up of senior and junior engineers who have been carefully selected for being passionate about technology. They are multidisciplinary, with roles ranging from app developers or front-end developers to firmware engineers or architects. The team has a user-first mindset and is trained and tutored to see beyond the technology, to understand that we build in order to add value for our users and ultimately, to build our business. They are technically very competent and are always thinking about how they can make Fon even more successful. The team is divided into two different areas which are also geographically split. The Fon Labs team led by David Valerdi in Getxo focuses on early stages innovation, and the Product Innovation team led by Rodrigo Partearroyo in Madrid produces those innovations that mature within our teams and prepares to hand them over to a business area for production. The best thing about my job is working on new things all the time with an excellent team. Learning how to, and leading an innovation team is highly rewarding. While many projects do not reach production, which can cause frustration, it is really satisfying when they do. I enjoy the challenge of getting to grips with so many different technologies, trying a variety of different approaches, identifying problems and opportunities, and thinking both analytically and creatively on approaches to fix them. The best thing about Fon is that it is not static: We have learned to adapt to the rapidly evolving WiFi ecosystem. After disrupting the industry by creating the concept of community hotspots (or Homespots as the industry names them now) Fon has continued to adapt while continuing to add more partners and customers to its portfolio. Fon has been innovative since its inception and continues to be the case 11 years on! Why would you recommend Fon?  Fon is one of the few consolidated international technology companies in Spain. We work with major telcos in the most developed countries and produce technology in-house to sell directly to them. Our clients, which include Vodafone, Deutsche Telekom, British Telecom, Proximus, Telstra, KPN, SFR, NOS, amongst others, have been using our technology for years, and continue to trust us. This is a great achievement, and it’s only possible because we have an outstanding team and seek excellence in our work and processes. The easy going and friendly environment of the office is not in conflict with delivering excellent quality products engineered with the customer in mind. Fon is a great place to start or grow your professional career! We’re a company of pioneers and we get energy from innovation! Want to join us? Visit our careers page! And for more insights into #lifeatfon, follow us on Twitter and LinkedIn!